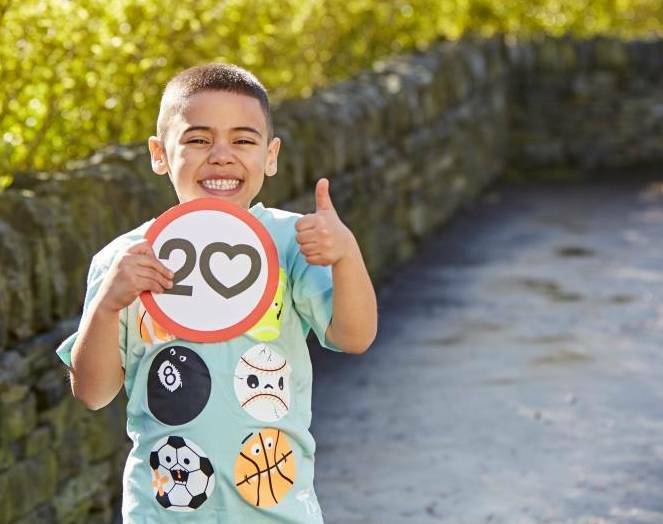 Illingworth and Ovenden are the latest areas to have a 20mph speed limit introduced on their residential streets as part of Calderdale Council’s Love our Streets campaign rollout. By 2017 residential streets across Calderdale will be 20mph, and from Friday 7 October 2016, the limit will be operational in the broad areas of Illingworth and Ovenden. To see which streets are affected, please visit 20mph speed limit. The Council has been launching the new speed limit since Love our Streets started in April 2015. The aim is to help make our roads safe and pleasant wherever we live and however we travel in Calderdale. The next phases of the 20mph rollout are Brighouse and Rastrick in February 2017 and Northowram, Hipperholme, Lightcliffe, Shelf and Norwood Green in May 2017. The Council continues to share the facts and benefits of driving at 20mph for everyone. People are encouraged to visit the interactive website, http://20mph.livingcalderdale.co.uk(external link) which includes a quiz, offers and advice for drivers, parents, schools and cyclists. This entry was posted in 20mph, Environment, Public Health, Roads and Highways. Bookmark the permalink.